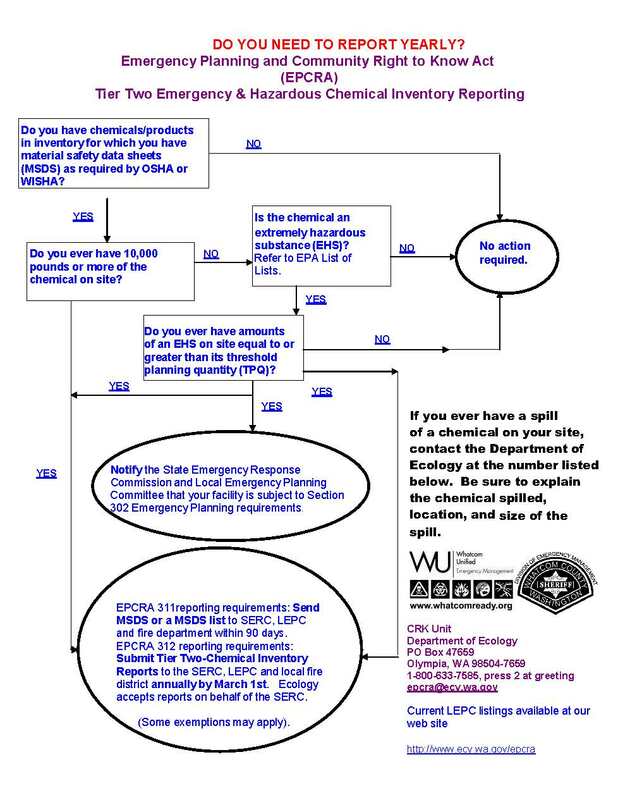 The Washington State Emergency Response Commission (SERC), in accordance with the Federal Emergency Planning and Community Right-To- Know Act (EPCRA) or SARA Title III Section 312, requires completion of a Tier Two – Emergency and Hazardous Chemical Inventory report by all facilities which have reportable quantities of chemicals. Part of this is community involvement is the LEPC (local emergency planning committee). CLICK here to find out more about LEPC. The following information is provided in an effort to assist local chemical users and producers to know what information they need to report, who they need to report it to, and how to go about reporting. There are two instances when a busniess is required to report the quantities of chemicals on their premises. 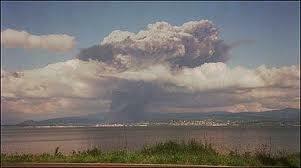 The first is if any chemical on the site exceeds the Threshold Planning Quantity. The second is if there is any spill of a hazardous chemical. If you are unsure of the Threshold Planning Quantity of a chemical on your site, please refer to the List of Lists provided by the EPA -CLICK HERE. Click Here for a flowchart describing the steps to determine if you need to report a chemical on your site, for the purposes of Threshold Planning Quantity. If you would like basic chemical information and for a quick reference guide for reporting, Click Here to download an information packet. b) and Bulk Fuel Distribution on a site.